Queen Victoria considered Boehm ‘one of the greatest sculptors of the day’ and commissioned numerous works from him. In her journal, she recorded various visits to his studio in Thurloe Square which she describes containing ‘many pretty statuettes & fine busts’. 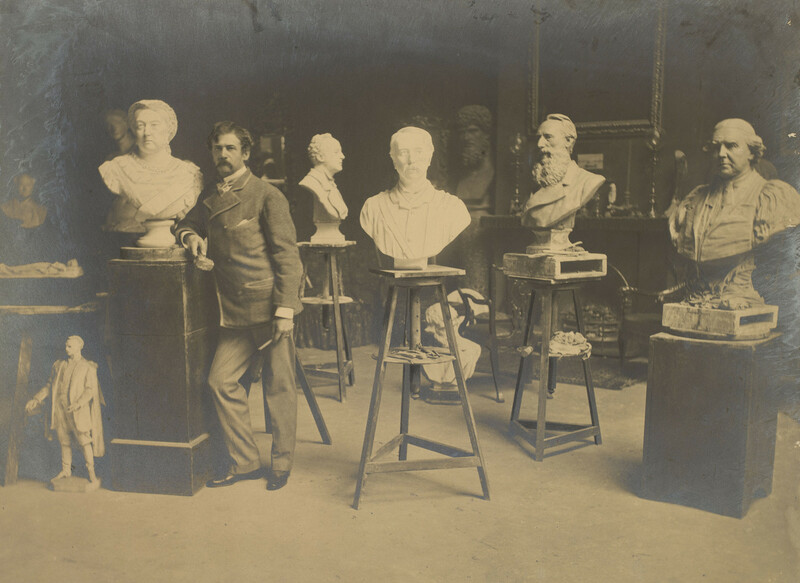 This is exactly what Mayall captured in this photograph, showing the artist in his studio with some of his works, including a bust of the queen. It was taken as part of a publishing project celebrating contemporary artists shown in their domestic working environments.